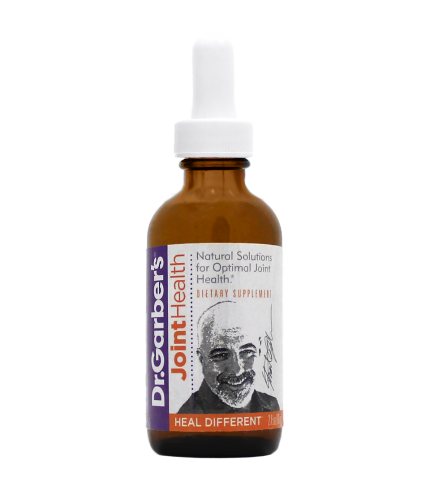 Contains a proprietary blend of European Grape Vine (Vitis vinifera) buds; Mountain Pine (Pinus montana) buds; Wild Woodvine (Ampelopsis weitchii) young shoots; Quadratic Feldspar; Cartilage. 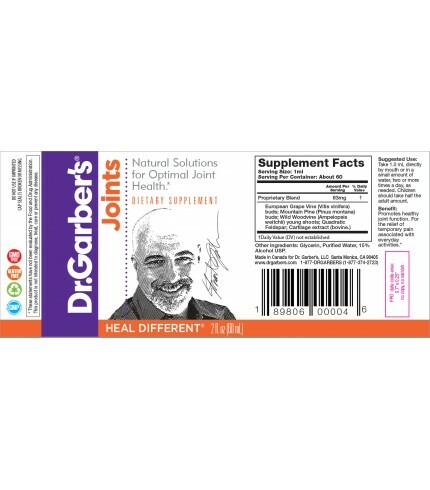 Suggested Use: Take Dr. Garber’s Natural Solutions® for Joints throughout the day. Take 1.0 ml 2-4 times per day in a small amount of water. For more chronic conditions, 1.0 ml twice daily will usually be sufficient. For acute situations, more frequent dosing of 4 times or more per day will have a better action. The amount can be safely increased so use as much as you need to achieve the desired result. 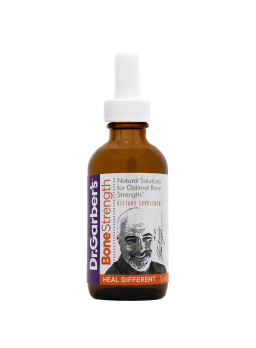 If it applies to you particular situation you may find that taking Dr. Garber’s Natural Solutions® for Bone Strength in addition will produce an even better result. Any of Dr. Garber’s formulas may be taken together at the same time. Just mix them together in a glass containing a small amount of water.